CLATUU Alpha by Classys is a new no limits non-surgical fat removal and reduction treatment, and an excellent non-invasive alternative to liposuction. Clatuu Alpha is able to treat any area at any angle. It offers highly effective, affordable and aesthetic pain-free 3D lipo sculpture solutions perfect for body contouring and overall fat loss. The CLATUU Alpha treatment remodels the shape of the body using a non-invasive cooling procedure that targets fat cells. This leaves surrounding tissue unharmed, making CLATUU a perfect alternative to liposuction for those who want great results without potentially risky invasive treatment. 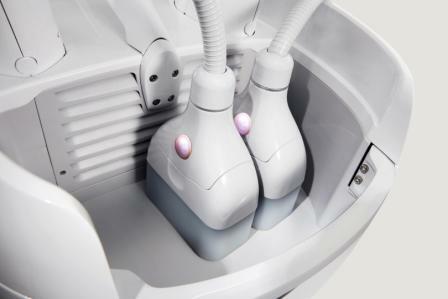 Unlike similar cooling treatments, CLATUU boasts dual handpieces, so it has the unique ability to treat two areas at once. This provides the benefit of reducing treatment times whilst saving the customer valuable time and money. The latest generation technology also offers a 360 suction cup for greater efficiency and precision. Combined with acoustic wave therapy, both methods assure the fat deposits and lymph is guided towards lymph nodes for excellent results. Generally, each treatment yields between 25-30% reduction of stubborn fat content of a particular target area of the body. Venn Healthcare are proud to provide such technology that helps in the reshaping of your body, safely without any need for surgery. The Perfect Fit, Clatuu Alpha technology recognises that you patients have a variety of different body shapes, customise your treatments with CLATUU Alpha and offer no limits cryolipolysis, with various applicators for any treatment area, including the double chin and knee. 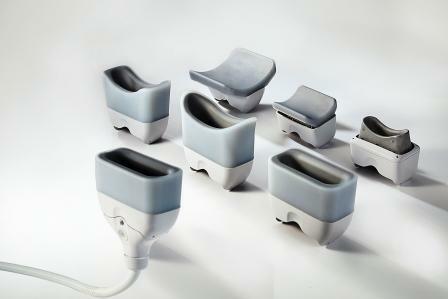 The CLATUU Alpha cooling cup range allows physicians to easily make additions to their treatment offering. Applicators are optimised for any treatment, extensive testing and research ensure Clatuu Alpha cooling cups are ergonomically designed to adhere to each curve of the body, optimised to achieve desired outcomes from head to toe. The ease of detaching the CLATUU Alpha cooling cups from the hand-piece, comfortably allows practitioners to use minimal storage space within the operating environment. The arm stand of the CLATUU Alpha provides a variety of benefits, the ability to apply the cups at any angle comfortably means practitioners can operate the device without the use cushions for extra support and comfort. The ample length of the cables can be adjusted so you can operate the CLATUU Alpha at a comfortable distance from the treatment area. 360° Surround Cooling Technology unlike the conventional two-side cooling methods, increases efficiency by up to 18.1%. Allowing delivery of cooling to the entire cup and in result removes fat cells more effectively. The CLATUU Alpha automatically sets recommended parameters for each cup upon connection of each respective cooling applicator and in result effectively disposes of unwanted fat. The cooling system of the CLATUU Alpha is engineered to reach its target temperature faster than previous models, reducing the inconveniences of waiting and maximising time efficiency for both patients and physicians. Not only is the CLATUU Alpha capable of 20% stronger suction, it also provides medical practitioners with the ability to adjust both cooling and suction levels to confidently provide customised treatments for patients. Each cooling applicator is engineered to target the patient’s subcutaneous fat layer without damaging surrounding tissues or nerve regions.